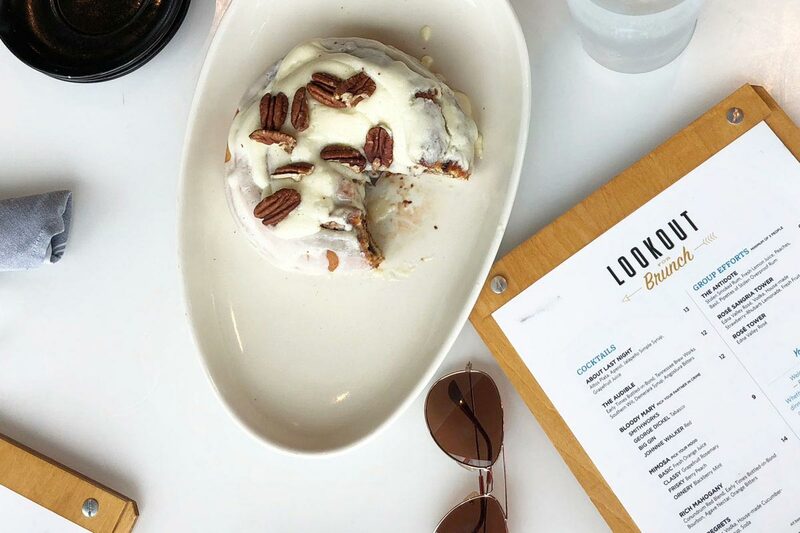 At The Lookout, brunch isn’t a meal. It’s a lifestyle. From hot chicken eggs Benedict to Group Effort cocktails, these dishes will have you saying the same. Barbecue pulled pork: It’s what for dinner, lunch, and now breakfast. 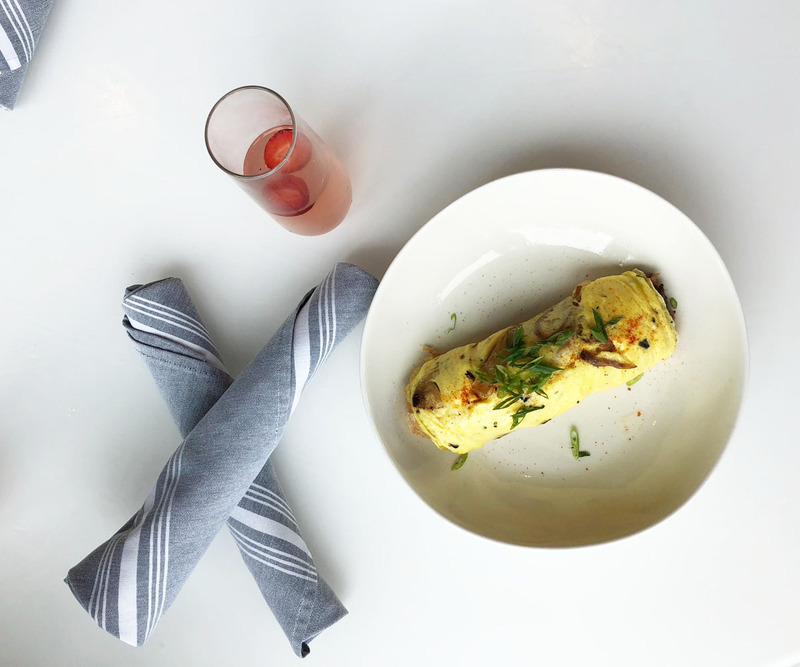 You’ve eaten slow-smoked pork in a bun, so why not in an omelet? Gooey pimento cheese (let’s be honest, it’s a food group in Nashville) and subtly sweet caramelized onions complement the tender pork. Dusted with a touch of the same spice blend used on our hot chicken, this filling dish is the kick in the pants you need to start your day on Broadway. 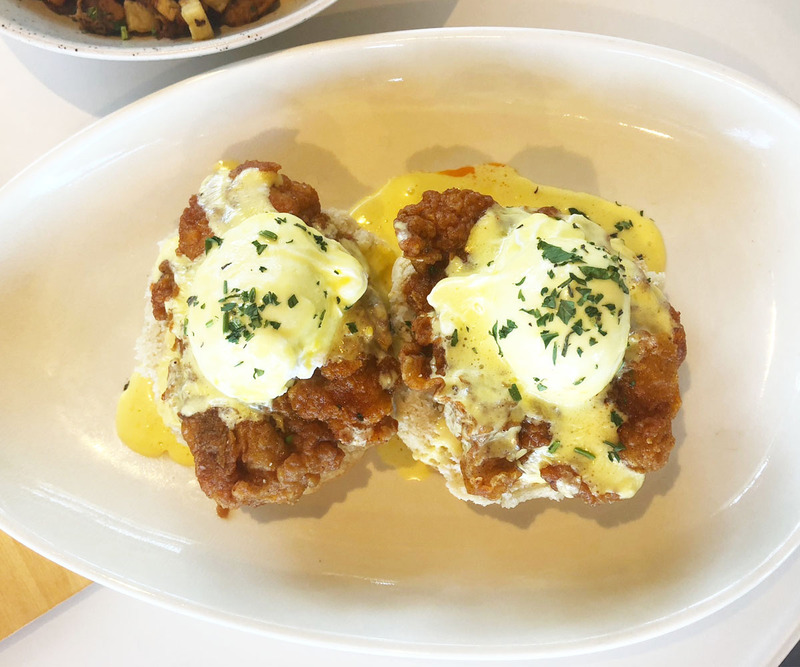 What’s a Southern eggs Benedict made with an English muffin? A shame. That’s why we make ours on an open-face flaky buttermilk biscuit. It’s topped with our take on a Nashville delicacy: hot chicken. The Lookout’s crispy-on-the-outside, succulent-on-the-inside fried chicken is dredged in Ole Red’s signature spice blend. It’s got just the right amount of spice to make your taste buds tingle but won’t make you break a sweat as you try to impress that cutie sitting at the bar. Hey, be cool. We liked this dish so much that we #putaneggonit and covered it with creamy, tangy hollandaise. Thank us later. With two spicy dishes on the brunch menu, you could use a little something — or a big something — to wash it all down. Our Group Efforts cocktails are the perfect remedy, whether you’re recovering from a Saturday night bender or the party’s just getting started. For your party of three or more, order the Rosé Sangria Tower or Rosé Tower. Go ahead, make all the other tables jealous. A true hair of the dog drink, The Antidote is another show-stopper, delivered in the form of lab beakers and fancy swizzle sticks. Made with the world’s first smoked rum, it’s less fruity than its counterparts and has a roasted, caramel-like finish. 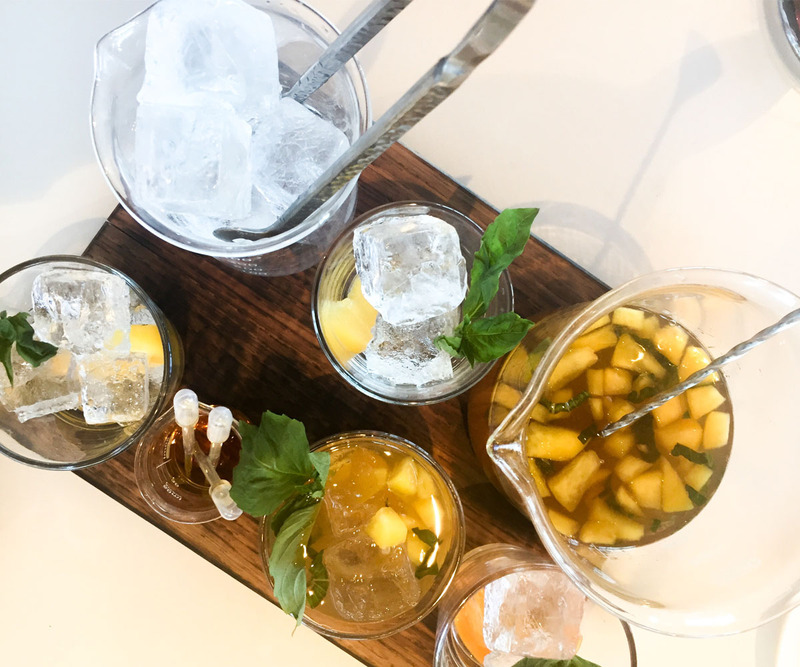 The addition of a peach-basil smash and a touch of sugar and lemon juice round out its flavor. The Lookout at Ole Red doesn’t just “keep it 100” — we like our rum 123-proof, so we serve it in pipettes alongside your already boozy drink. Waste not, want not. That’s what our mom taught us in the kitchen. 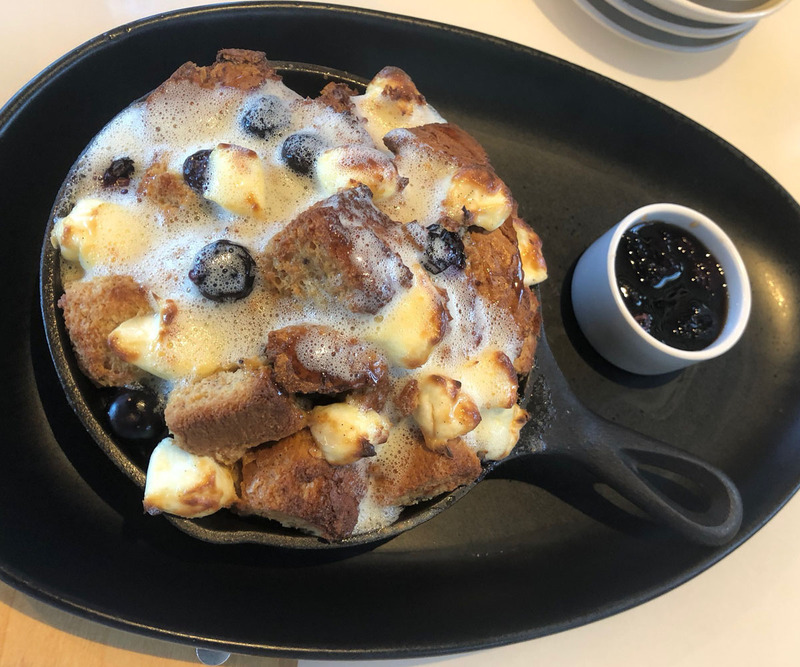 Ole Red revives bread that would otherwise go unused by transforming it into our impossibly pillowy Blueberry French Toast Casserole served in a warm cast-iron skillet. Reminiscent of a bread pudding, large pieces of bread are enrobed in crème anglaise — a sweet, thin custard — before getting a few dollops of melty cream cheese. You’re going to want to pour the accompanying maple-berry compote all over that sucker. Share this dish — or don’t. It’s your life. Live it. 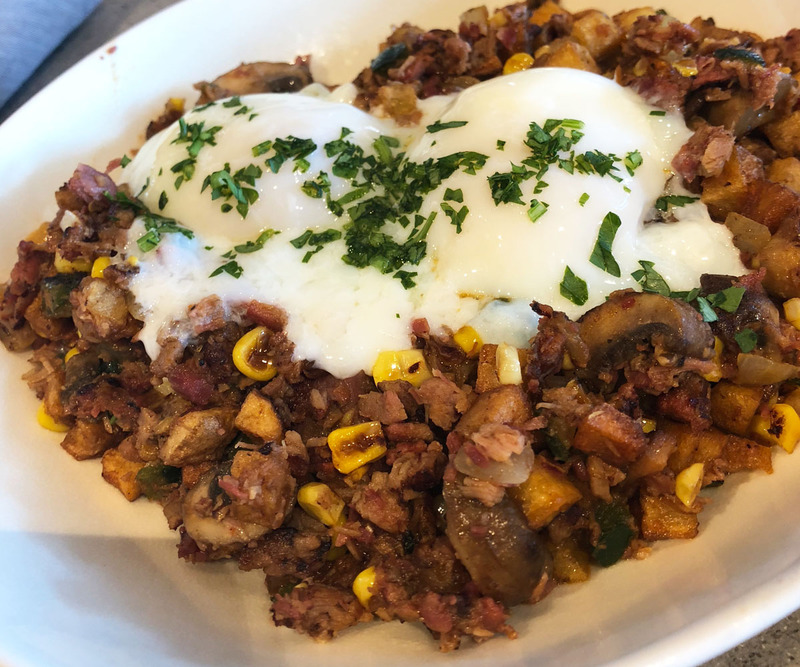 Never had a touch of whiskey in your breakfast hash before? We didn’t either but figured hey, why the heck not. So aside from all the trappings of a traditional breakfast hash — fried potatoes! bell peppers! corn! mushrooms! — this hash’s brisket is totally sauced. Slathered with a whiskey-based barbecue sauce, the brisket tantalizes and flirts with danger — and so do we. Weighing in at one pound, the Giant Brioche Cinnamon Roll pulls no punches. 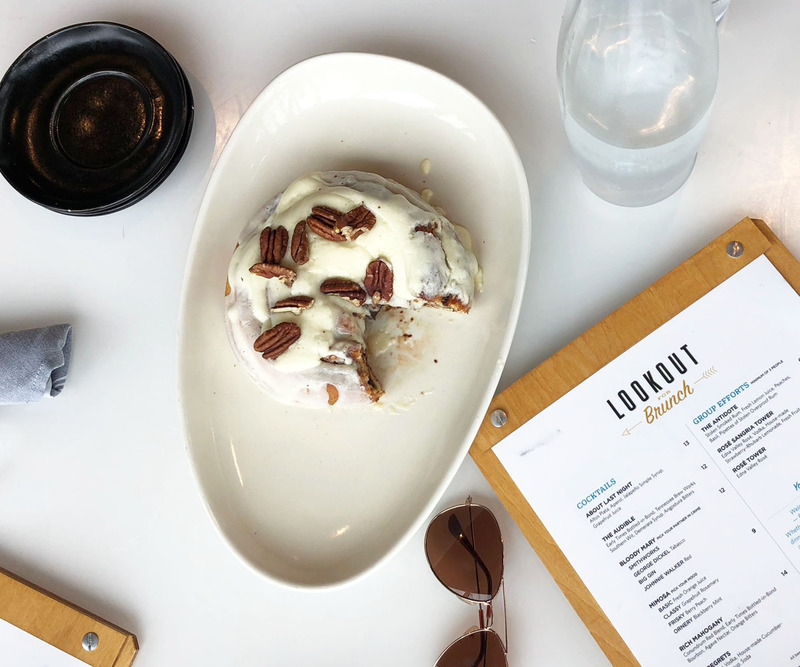 The hefty pastry dominates the plate thanks to healthy heaping of icing and toasted pecan pieces. If there were ever a brunch dish to give you super powers, it’d be this one — but you might need to take a nap first. Today, Broadway. Tomorrow, the world.